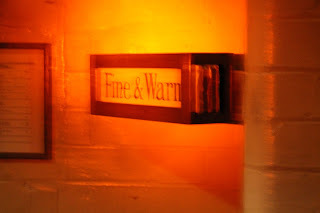 Please excuse my blogging hiatus: Time flies when you’re having fun with your guests. I had lots of company the past 10 days! 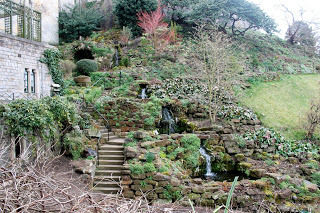 My mom, dad and sister finally arrived in London on March 23, which explains why it’s been so long since my last update. It’s no secret that I’ve been homesick, but I was so glad to get the chance to show them around the city that I’ve gotten to know over the past few months. I really wish my brother could’ve come too, but missing a week of classes isn’t easy when you’re in the middle of a college semester. London did not reciprocate with a warm welcome, I’m afraid. The weather was absolutely terrible the entire time they were here, with temperatures in the 30s, snow, freezing rain and even a bit of hail. I’m proud of how well they marched through it! London can still be pretty in the cold. We started off their London tour in Camden by going to the markets. I showed them the place where I got my tattoo (kidding, but there are a lot of tattoo shops in the market) and told them not to be fooled by the sneaky sample-givers. We went to dinner with my roommates that night and they got their first taste of fish and chips! Brooke wasn’t thrilled with the outcome, as the fish tastes really fishy, but my dad and I enjoyed it. 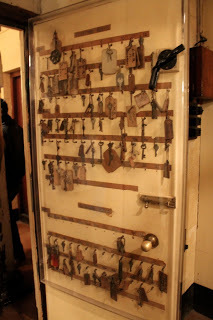 That night I took my dad to the Earl of Camden, the old standby pub, and we had a pint together. Sunday was a day for touristy sites in abundance. 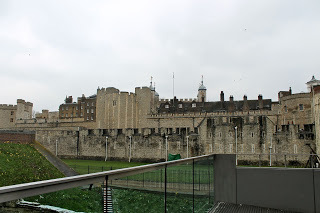 We spent the day on the south bank, first going to the Tower of London. It’s as a tourist once again that I can remember exactly why I wanted to come to London. Maybe some of the magic gets lost in the day-to-day work and class routine, because after all, I am living here. 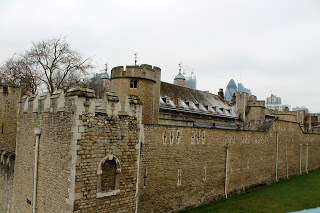 But sites like the tower, which has served as an armory, treasury, royal residence and execution site in its history, show just how much significance London has. Who sat here? Was he beheaded? (There’s a good chance). The ghost whisperer, ghost hunters and Long Island Medium would have a field day at the tower because of all of the people buried there. 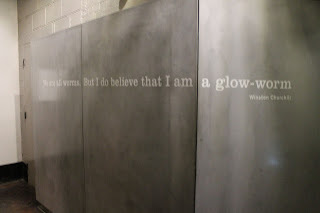 I didn’t meet any ghosts, and that’s just fine with me. 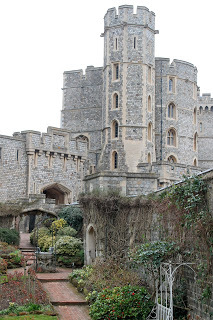 William built the Conqueror the tower in 1078. It was here that we got to see the queen’s royal Crown Jewels, which are magnificent diamonds owned by the royal family and worn during important ceremonies. We also got to see a lot of animals. 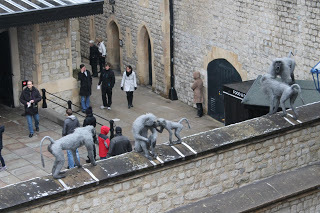 I had no idea that the tower was once a menagerie. Rich people would give animals to the king as gifts (because what else do you give the person who has everything?) 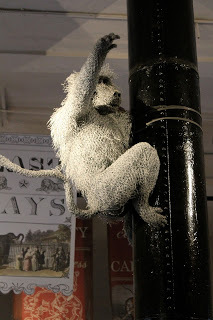 Monkeys would run rampant and smoke cigars (really). One even mauled a little girl who was visiting! Artists created sculptures of the animals to try to recreate some of the magic. (I preferred the sculptures. They were tamer and probably smelled better). 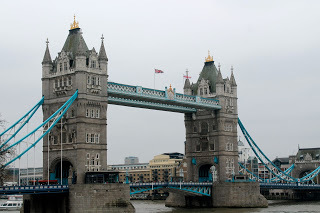 Next we went to Tower Bridge, which is not the London Bridge. Tower Bridge is much prettier than London Bridge and is the one you probably recognize from millions of shots during the Olympics. 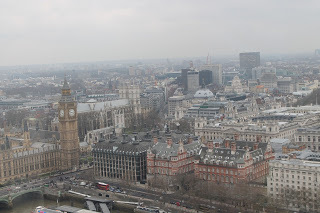 We went up to the top and got some great views of frigid, cloudy London. 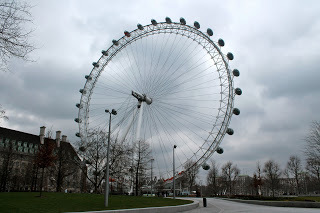 We also did the London Eye, which is a big Ferris wheel that was built to be the world’s tallest “observation wheel.” There’s one orange car on the eye that’s probably used as a marker to track the speed and number of cycles the wheel makes. I’ve always wanted to ride in the orange car because it’s the most identifiable. Guess what? We got put in the orange car without asking! I was as excited as I would if I got to ride in the front car of a roller coaster. You can’t see the orange one here, but it’s special! 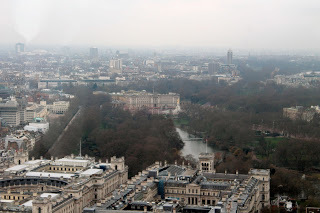 Buckingham Palace views from the eye! 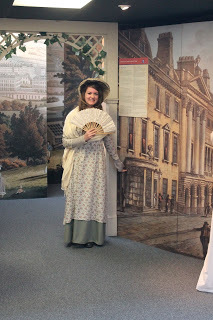 On Monday I got a second chance at Bath, which, as you might remember, is home to the Jane Austen Centre. I mean, yes, there is more in the town than the centre. This time it was open! Hallelujah! 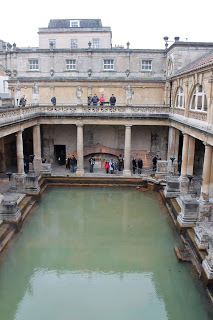 We took the train to Bath and once again toured the Roman baths. Bath has a lot of limestone and the hills are removed from the town, but it has the countryside charm that I was hoping my family could experience. I think they enjoyed their reprieve from the city. 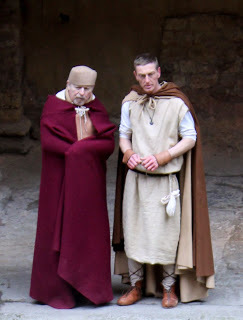 Costumed workers. Or time travelers? 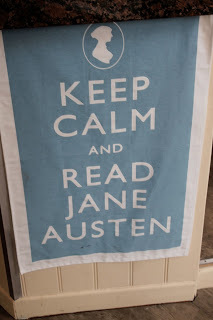 The Jane Austen Centre was pretty great. Not as great as her house of course, but still worth the visit. 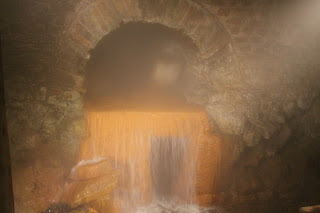 The most important thing I took away was that, though Jane hated the high society and superficiality of Bath, the trials and tribulations she faced helped her to write her novels. No matter how hard things get, it’s important to remember that there is a higher purpose. NOT Mr. Darcy. Also, he asked to take a picture with me. Eek. Tuesday was another day of touristy activities. 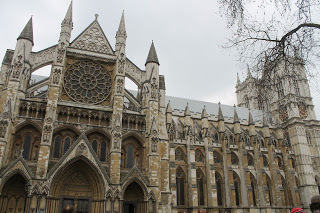 We started off the day at Westminster Abbey, which is where Will and Kate were married. It’s also where an incredible number of monarchs are buried. There are plaques with tributes to great writers (featured in poets corner). I think there must be a lot of bad juju inside. 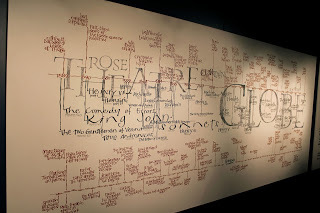 Mary Queen of Scots is buried next to her nemesis, Elizabeth I. Going to a burial site always makes me uncomfortably aware of human mortality. 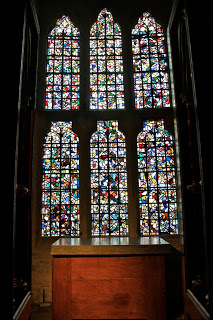 The majority of people in the Abbey have amazing monuments that are testaments to the grand people they were and exciting things they accomplished. Of course, we don’t all need that, but I think we can do our best to make some sort of mark while we’re here. We tried to go to Borough Market so my dad could try wild boar, but sadly the beasts weren’t there. The market is much more crowded on the weekends (and probably when it isn’t 30 degrees). Shakespeare’s Globe was next. I had stood outside but hadn’t been in. 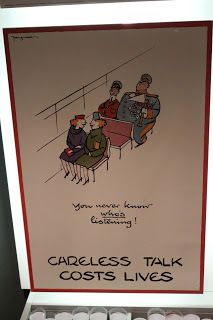 Of course the actual theatre was closed that day (this is the story if my study abroad experience) but we did get to see an exhibit. 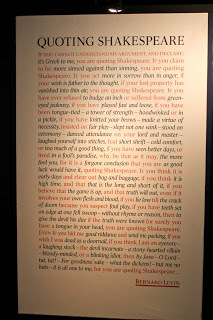 We owe a lot to the bard! 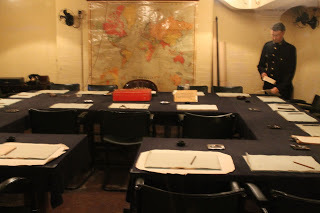 We then went to the Churchill war rooms, which I thought were incredible. 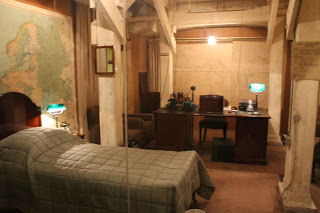 During the blitz of WWII, Churchill and his staff bunkered down in rooms under the street to essentially run the war operations. Churchill was well respected by his staff even though he had some weird personality quirks (he made his staff tie papers together because he didn’t like paper clips and staples). I think he was very stressed and took his war frustrations out in idiosyncrasies. 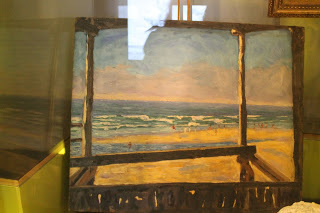 The museum gave such an intimate look into his life. I was sad to learn that his parents had neglected poor little Winston. He had a privileged upbringing but was sent to boarding school. He wrote his parents letters begging them to come visit him, but they never did. Poor guy. 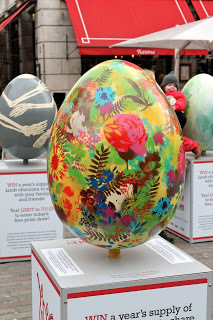 I think he turned out ok.
On Wednesday we visited a cute Easter-themed egg display in Covent Garden. My mom read about it on Facebook, and although we didn’t see any eggs at first, you should never underestimate my mom and her ability to use Facebook to find promotions. 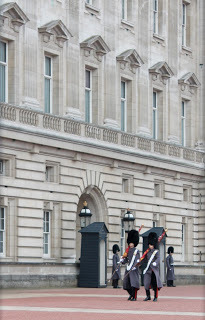 I went to the famed changing of the guard for the first time. My experience could also be called the “view of the palace gates as blocked by hundreds of people.” It’s really hard to see over the tall tourists who press themselves against the gates. The changing of the guard is so much longer than I thought it would be. I thought it was 10 minutes, but it’s actually between 45 minutes and an hour. Honestly, I was a just “whelmed” (my sister’s expression for not being over or underwhelmed, but in between). It’s a ceremony with a lot of meaning, but because of the temperatures and the man resting his camera on my head, I had seen enough after 30 minutes. 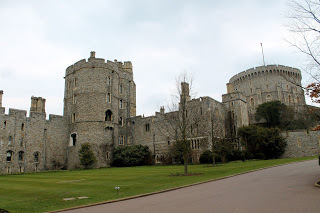 We then headed out to Windsor castle to see the queen’s “preferred” residence where she spends her weekends (well excuse me!). I had no idea that Windsor would be so, well, castle-y. It was more of a fortress than a palace, and that’s what it was built for. 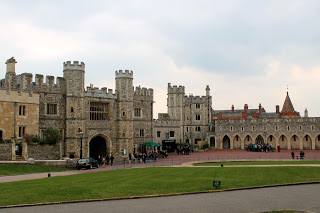 Windsor actually burned down in 1992 and was restored within five years. 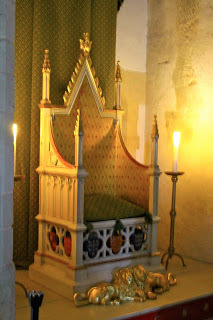 We saw the chapel where the queen mum is buried, an enormous model dollhouse, an exhibit with pictures of the queen throughout the years, and endless paintings, garnishes and priceless furniture. We weren’t allowed to take pictures inside, but maybe the outside will give you an indication of the extent of the collection. 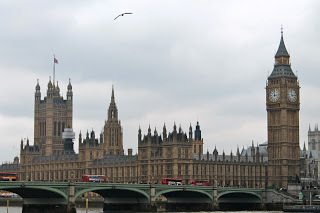 London was chilly, foggy and grey but I think my family liked what they saw of their first visit to the international city. 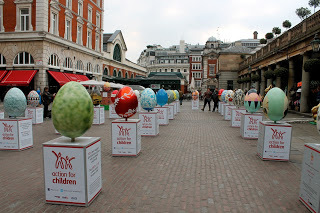 We saw the best of what London has to offer, and I’m glad I got to experience it with them. This trip is one my grandparents will never get to take. This is a trip many of my friends will never get to take. This is a trip my parents worked all of their lives to take, and I was lucky enough to get to jet off before they could. I think each time they look back on this trip, it’ll only mean more to them. I’m so lucky to have been able to spend so much time with them in a foreign part of the world, snow and all. 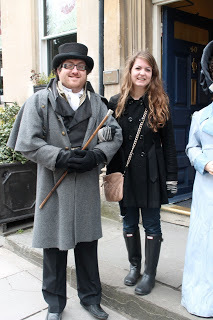 Stay tuned for my post about our weekend in Paris!